The Coloured Canyon in the Sinai Mountains of Egypt is a popular location for hiking and trekking. 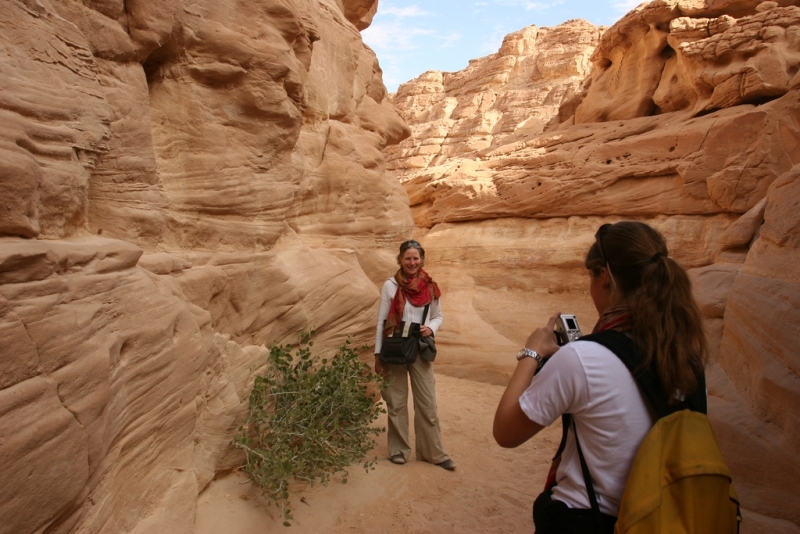 Super Jeep Safari from Sharm El-Shiekh to St.Catherine Monastery, one of the oldest working Christian monasteries in the world, & Colored Canyon in Nuwibaa. Early morning Egypt Travel representative will pick you up from your hotel to discover the top highlights of Sinai desert by modern jeep. We drive to Saint Catherine monastery located in heart of Sinai Peninsula at a height of 1570 meters in the place where according to the tradition Moses saw the bush on fire which didn’t burn up. It is in the foot hills of Gable Moses or mount Sinai,on whose summit Moses received the tables of the law with the ten commandments inscribed. The monastery dates back to the age of the emperor Justinian 6th century. it was the same time of building enclosure wall surrounding the monastery right now but The monastery was named saint Catherine at t he beginning of the 11th century in honor of saint Catherine, one of the earliest Alexandria Christians martyrs . Then we drive inside the desert to reach the coloured canyon about 12 kilometres north of Nuweiba.going back up the Wadi Watir(one of the most beautiful Wadis of the peninsula connecting Nuweiba with Nakhl) is the start of the track leading to one of the geological wonders of Sinai the coulerd canyon. It’s very narrow walls,40 meters high and a little more than a meter wide in parts are made out of sandstone possessing an incredible range of hues from dark brown to red to straw yellow, This is due to the presence of magnesium and iron oxides. Later we go back to Nuweibaa for lunch, where we have time to swim for one hour in Aqaba bay. Then drive back to your hotel.